Just in case you lived under a rock this summer, one of the biggest movies has finally made its way onto home video so I could watch it without crying in public. I was either going to cry because it was so good, or cry because I anticipated something so good that turned out to be horrible and I subjected my eyeballs to a good ol’ fashion struggle snuggle. 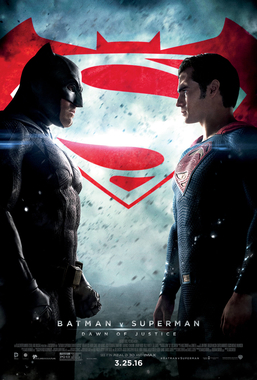 Batman v Superman was the highly anticipated sequel to The Man of Steel which many people are not a fan of. If you didn’t like Man of Steel, then you will not, I repeat, absolutely will not like this movie. I happen to be one of the few crazy humans who enjoyed Man of Steel. Visually, it was fantastic. The plot was not too shabby and the acting was also on the not too shabby side. I will say this; I am not a fan of Amy Adams as Lois Lane. This was a horrible casting choice that I will never understand. Megan Fox as April O’Neil makes more sense than this. Anywho, let’s not get too sidetracked here. Visually, Batman v Superman was superb. This is the nicest thing I will have to say about this movie. It really looked fantastic and the effects were top notch. Okay, now that the pleasantries have been established…I don’t know what happened here. Okay, for starters I’m about to drop some major spoilers. Like a lot of them. If you continue reading from here, then it’s your own fault. First and foremost, the plot was chopped up more than minced garlic. I felt like I was watching the content of six movies crammed into one giant visual stimulation. The movie was two and a half hours and from what I understand there is about 30 minutes of footage that help the movie make more sense. Fortunately for anyone who wants to see the complete version, it is available as an Ultimate Cut on blu ray. I have not seen it. I watched the same crappy version as everyone else. If I could rent the Ultimate Cut I would, but I’m not paying $25 for it when I didn’t like the theatrical version. I’m not a gambling man. Let’s move onto the acting and the casting choices. I’m sure you’ve heard it from the beginning about how Jesse Eisenberg and Ben Affleck are horrible casting choices. I completely agree that these were the wrong choices, although Ben Affleck may be soured because of the overall experience. I’ll just say I’m on the fence with him. I didn’t love him and I didn’t hate him. Eisenberg on the other hand was abhorrent casting just like Amy Adams. Spot on, folks. I just have to talk about the plot. This is when things get really spoily so if you’re still reading then you obviously want to know. Okay, so Bruce Wayne (Batman’s Day Job) wants to kill Superman because of all the damage he did in the first movie. Apparently Mr. Wayne had a building in Metropolis that was destroyed during the fight with Zod. So in order to take revenge, he fights Superman in the city causing a lot of damage. So two wrongs make a right, right? Anyway, during the fight Batman is kicking the crap out of Superman and almost kills him. This was probably the best scene in the whole movie by the way, but I digress. So do you want to guess why he doesn’t kill him? Go Ahead, I’ll wait. So did you figure it out? No? It’s because Martha is also Superman’s mom’s name. Yep. You read that right. So then they become buddies and kiss. 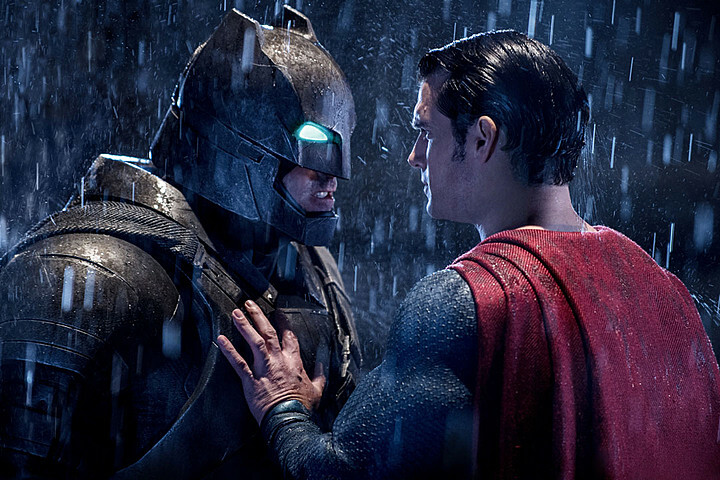 After a short make out session, Superman convinces Batman to help him fight Lex Luthor who has already released Doomsday. More visually appealing fights happen, then stuff happens. The end. Oops, I almost forgot about Wonder Woman. Now this Amazon Goddess saved the parts of the movie she was in. The fight scenes were absolutely fantastic. Unfortunately you only get about 10 minutes of that. The other cameos were weak and lame. I didn’t spoil everything just in case you actually want to watch it. To each his own. I’m just warning you that is rather boring and incoherent in parts. I feel like I got ripped off renting it at $2 out of the redbox. Oh well. I guess I knew what to expect. So the verdict here is to skip it unless you just have to see it for yourself.